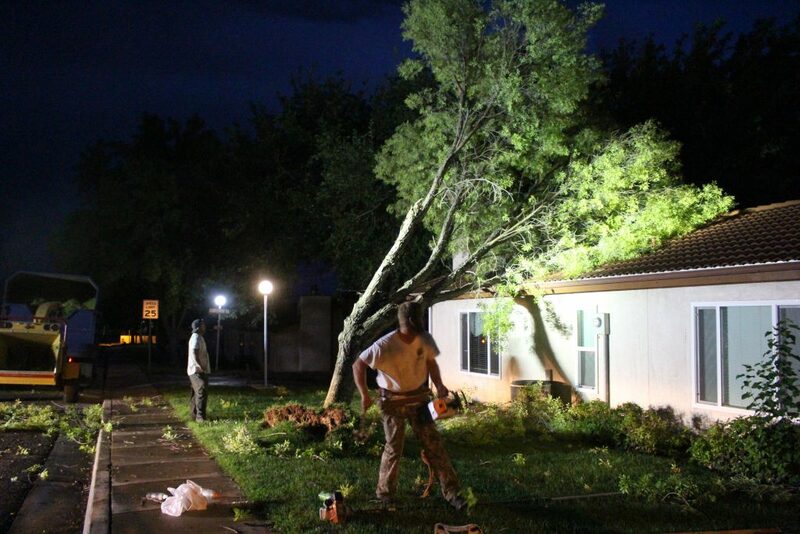 ST. GEORGE — Large, consecutive storms drenched St. George and surrounding communities, causing floods, downed trees and tipped power poles Saturday evening. 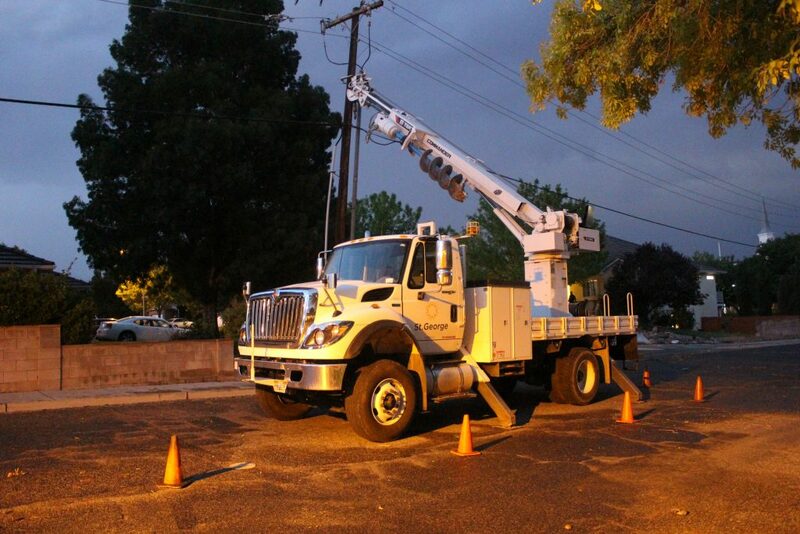 The storms initially began moving through town at around 7 p.m., at which point the St. George Fire Department was inundated with phone calls reporting damage. “Probably had 30 different calls for service all at the same time,” St. George Fire Battalion Chief Darren Imlay said, though, fortuitously, none of those calls were to report injuries. “It mostly hit the north end of town,” Imlay said of the storm, adding that the brunt of it hit the northeast side of the city. 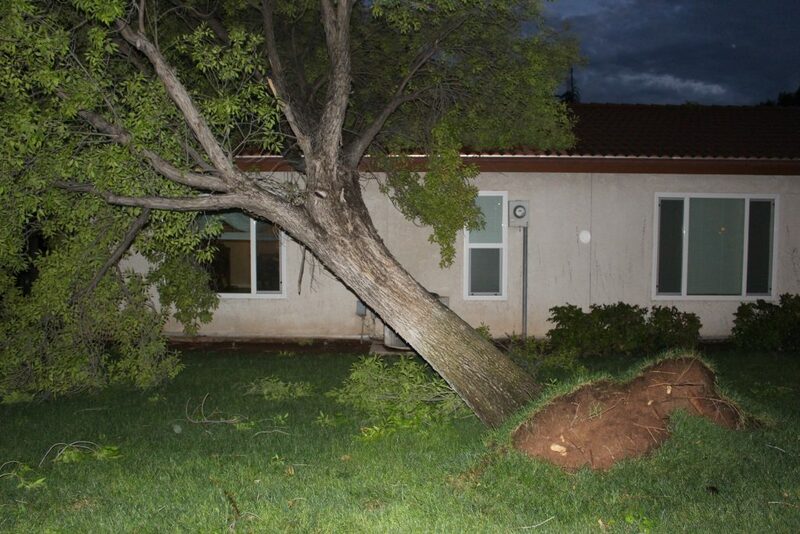 Besides the torrential rainfall, high winds and lightning made the storm even more dramatic. Imlay was stationed at the intersection of 2450 East and 350 North in St. George where water from the storm flooded the road. He said at one point the water was up to his knees as it rushed down the street. “It came down like a river,” witness Kendall Olsen said. 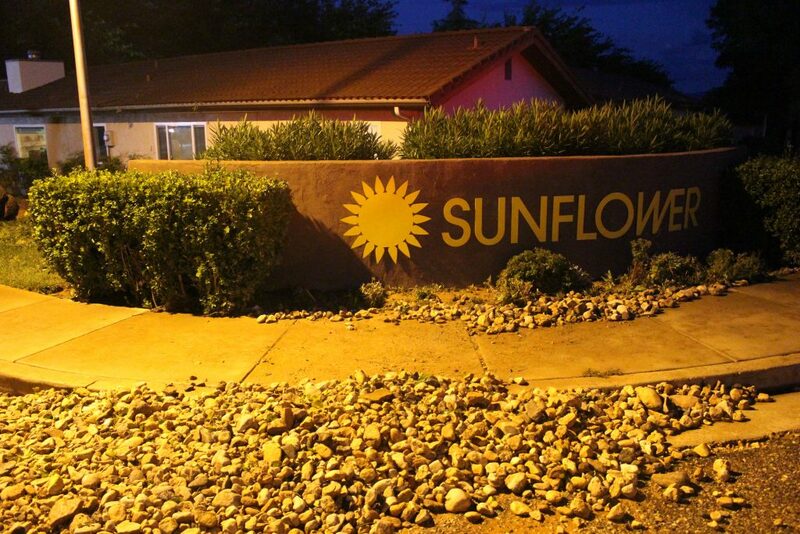 Large rocks from a nearby planter were swept up in the deluge and knocked against an adjacent curb. “The storm moved past fairly quickly,” Imlay said, noting that the water subsided soon after. The flood waters did manage to seep into a nearby housing complex. 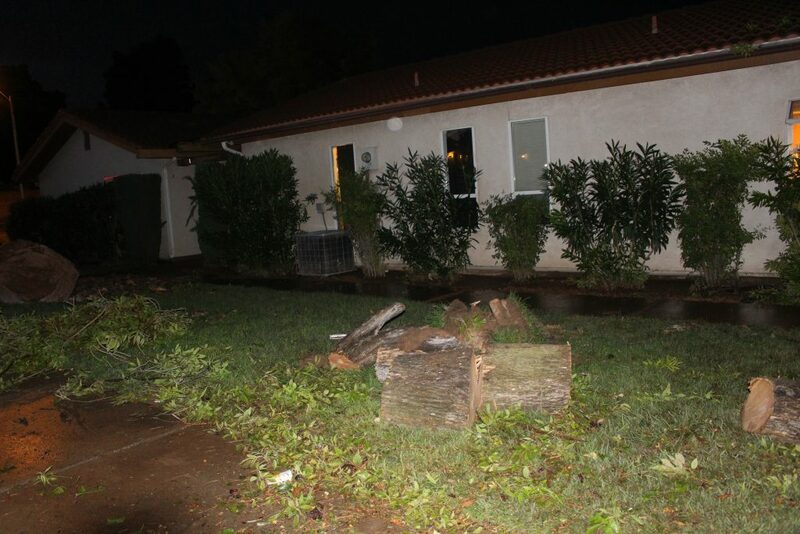 Multiple trees were also uprooted and leaning against the building, causing minor damage to the roof’s tile. 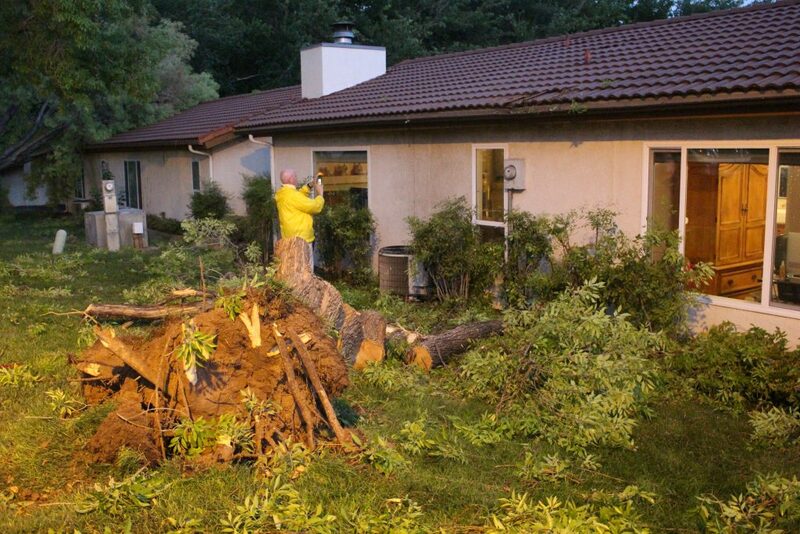 “We got the emergency call on this, and we get over there in about 15 minutes,” Kyle Davis, owner and operator of Advanced Tree Solutions, said. 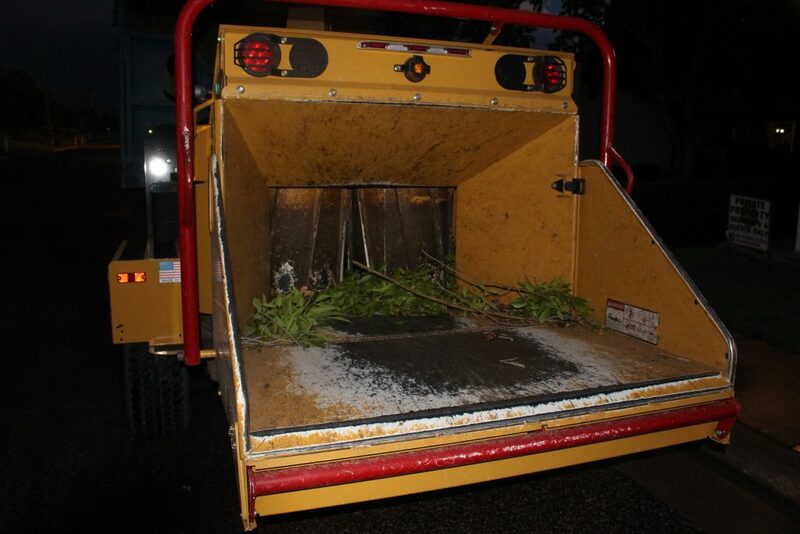 Davis and his crew had already been to several other locations throughout the city on calls of downed trees with several more jobs to fulfill afterward. 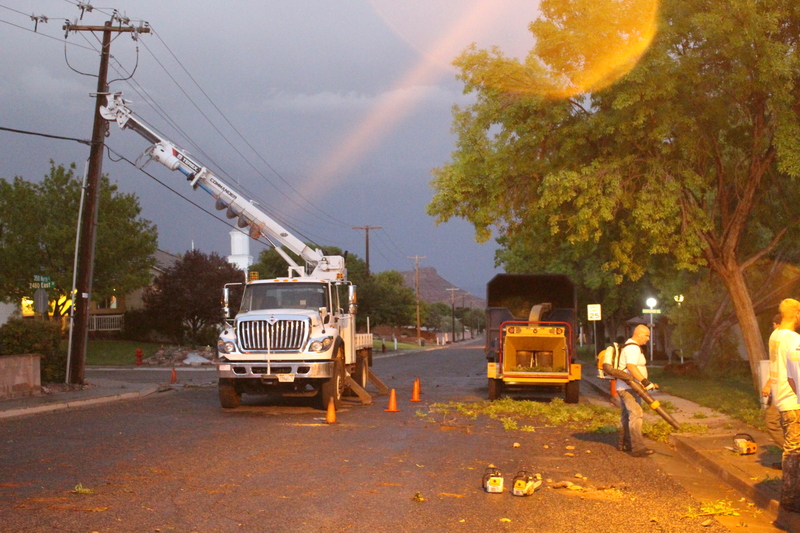 St. George City Energy Service crews were also working to repair and stabilize the tipped power poles, and streets crews were busy around town clearing the roadway of debris. Imlay said the overall impact of the storm was minor and could have been worse had the storm cells hit all at once.